Emilie is a competitive euchre player from the middle of a corn field. If she isn’t playing board games, card games, walking, biking, camping, or spending time outdoors or with her family, she is creating. 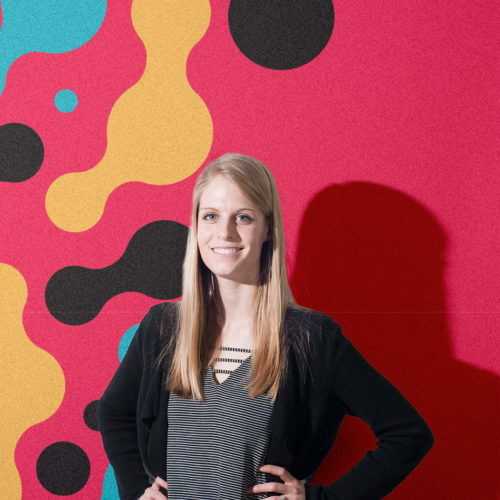 As a very family-oriented individual, a trait Emilie has inherited from her parents is a hunger to learn new things instead of being satisfied in a current position or role. Rather than thinking certain skill sets are unnecessary, she has the courage to learn about them and let them inform her work, such as music, nature, nutrition, or new hobbies or games. She attempts to expand her knowledge and skill-sets every day, so that she can gain high-end skills and remain skilled in multiple disciplines of design. She has a desire to do whatever it takes push each project to a resolved solution, a hunger to learn, and strives to make each career path a home.